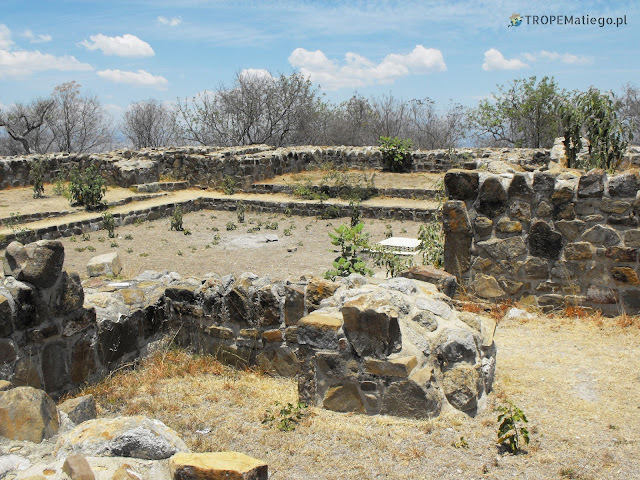 The historical city of Monte Albán is located at 2000 m a.s.l near Oaxaca city and it is situated on a 400 meter high mountain. 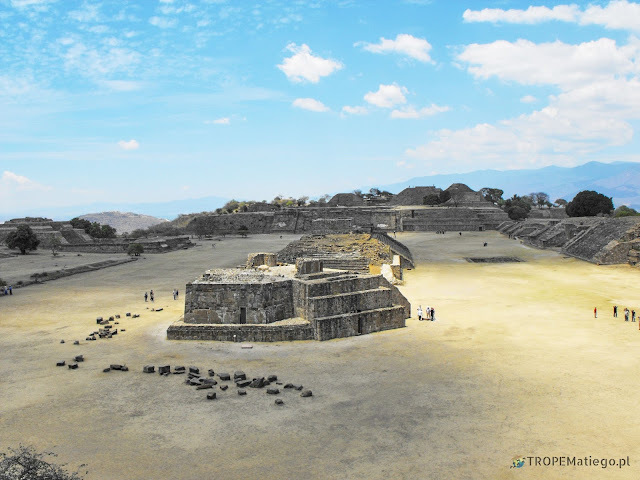 The mountain was flatted by Zapotecs. The entry fee is 59 pesos (2014), 70 pesos (2017). Filming costs 45 pesos (2014) extra. At the entrance there is a new building with museum and restaurant. 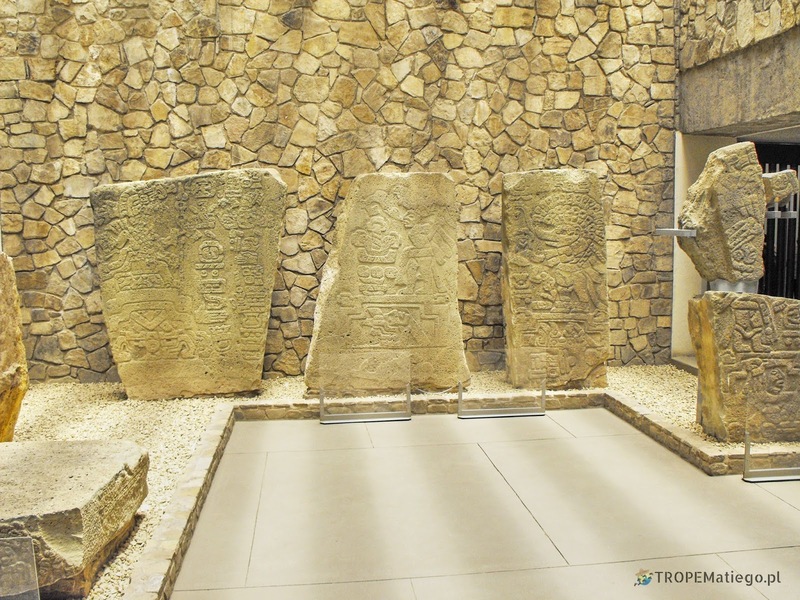 In the museum are objects from the ancient city. In the restaurant you can eat or drink, but the prices are from a space, for example 26 - 28 pesos (2014) for a refrescos (a bottle of water, juice, etc.). There is a maquette just after exit of the museum. It is not necessary to go straight to the main square. You can go there from the back. There is an inconspicuous tomb No. 104. Then, on the way to the main square you walk through the northern square with pyramids. 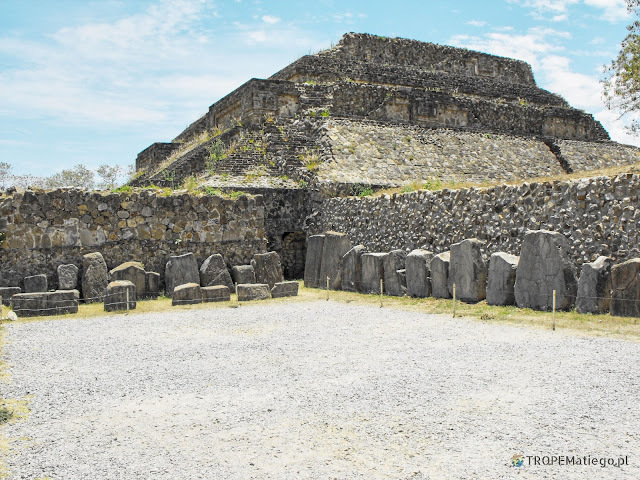 It is allowed to climb to the top of these pyramids. 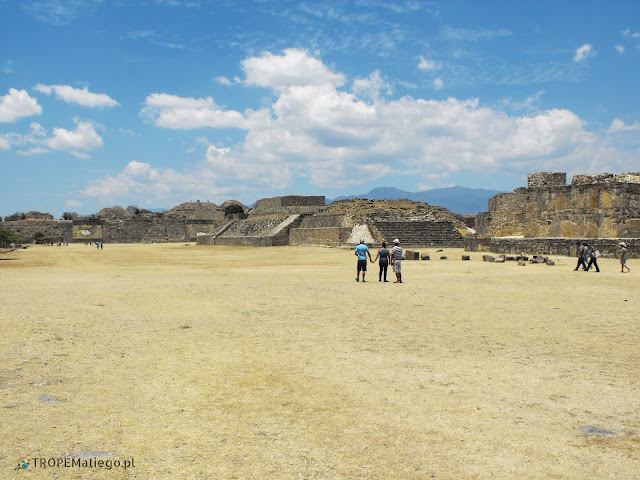 At this point is a perfect view of the main square of the Monte Albán city. On the left is an ancient football pitch. In the opposite corner there is a gallery of Los Danzantes reliefs. The main square as well as the whole area is almost without trees. It means, you walk in the very hot sun without chance of shadow. I recommend visiting this place on Mondays, when there is few tourists. 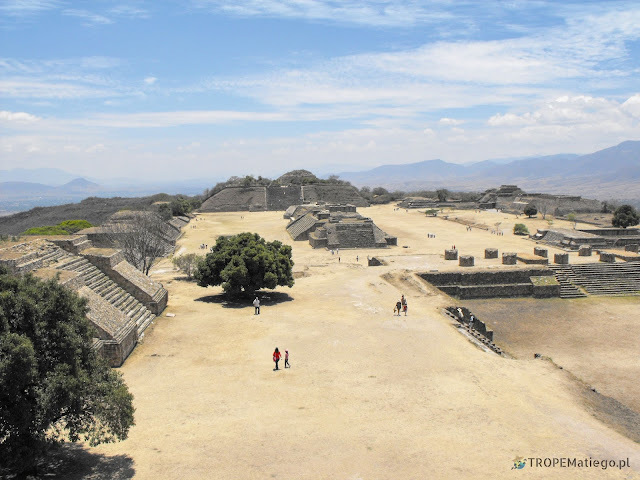 The surroundings of Monte Albán has been inhabited for 11 000 BCE. Probably it is the longest inhabited area by man. 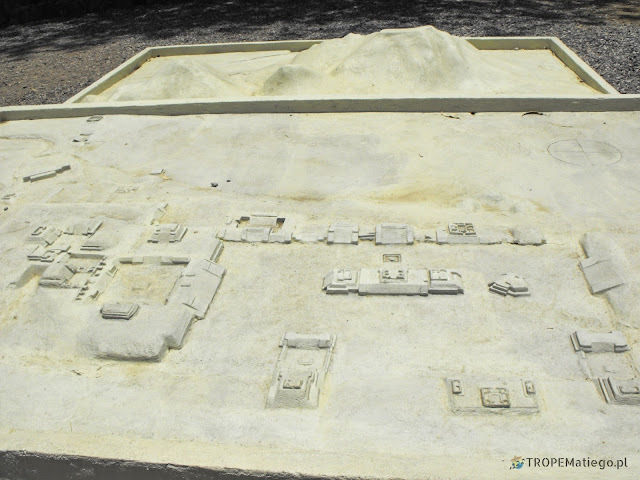 The Olmec culture was present here 3 000 BCE. They founded the city around 500 BCE. Zapotecs appeared here probably in the 1st century BCE. They developed a irrigation system and they flatted the mountain to increase the city space. At that time it was an unbelievable engineering success. During the reign of Zapotecs, Monte Albán became one of the most important cities in the Mesoamerica. In 800 CE the city was empty. 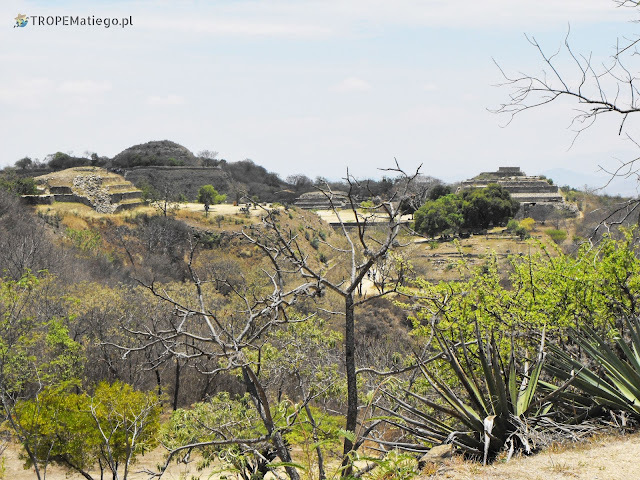 People moved to Mitla. In the 16th century Mixtecs used the city as one big cemetery. Monte Albán became a necropolis. Descendants of Zapotecs still live here and are active. Benito Juárez, one of the most famous Mexican president comes from the Zapotec people.